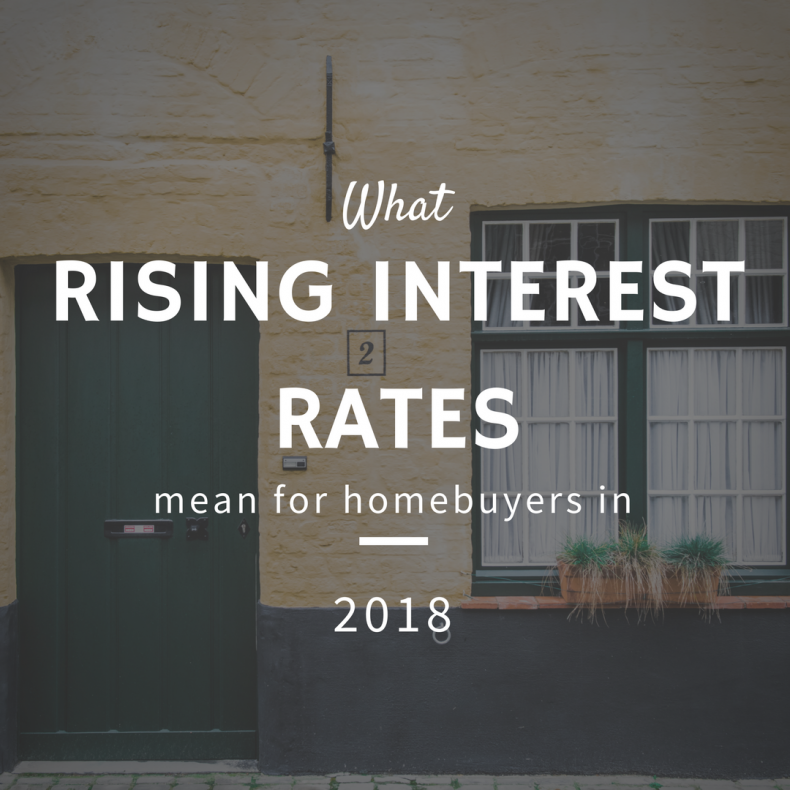 If you’re a prospective homebuyer, you might be wondering how the rising interest rates will affect your plans. For the last 10 years the U.S. Federal Reserve has purposefully kept interest rates low and access to credit easy. For the last two years, would-be homebuyers have been keeping a weather eye on rising interest rates. For some it’s a race between how quickly they can finish saving a down payment and how quickly (and how much) The Fed will raise rates. Right now the economy is strong and the rates have risen above 4% for the first time in a decade. That’s caused a certain amount of concern, and many analysts believe that higher rates are imminent. As interest rates rise, homebuyers will either pay more per month or have to settle for less house so the payment fits in their budget. A recent model by CoreLogic projected that interest rates would rise by about 0.82% this year. That could translate to a 15% or 16% increase in mortgage payments. However, compared to mortgage rates thirty years ago (an average of a whopping 18%), interest rates below 6% or even 7% are still incredibly reasonable. In 2018, to offset rising interest rates homebuyers will either have to come up with more in their monthly housing budget, put down more upfront to reduce the monthly payment, or settle for less house (or less location). Though that doesn’t sound appealing, right now we’re talking about around $100 more per month for the average mortgage payment. Some will be able to adjust their living expenses to make up for the modest increase. Rates are rising, so if you can wrap up your transaction without sacrificing what you want in a home, you’ll likely pay less than you would if you wait.